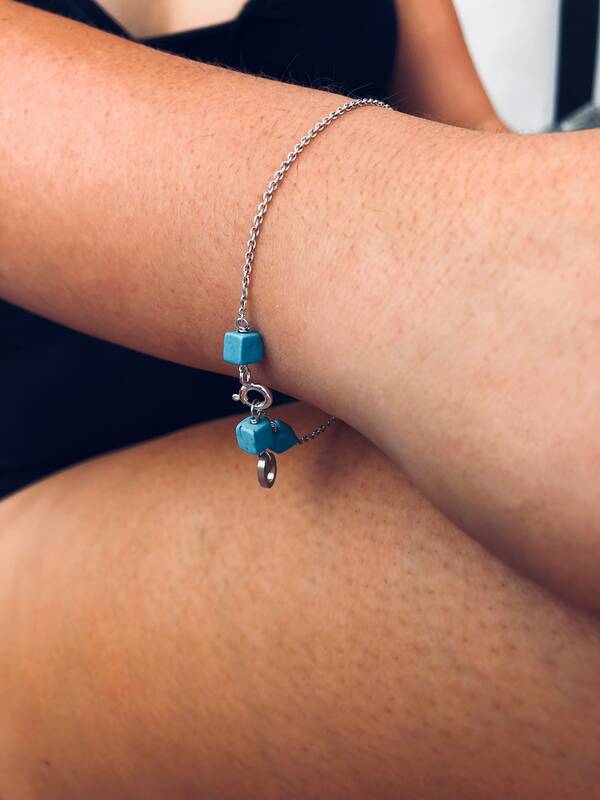 This “Truth” bracelet is inspired by the cube that dangles from the silver chain. The cube represents the final stage of a cycle of immobility, it can be seen as the truth, because it looks the same from any perspective. 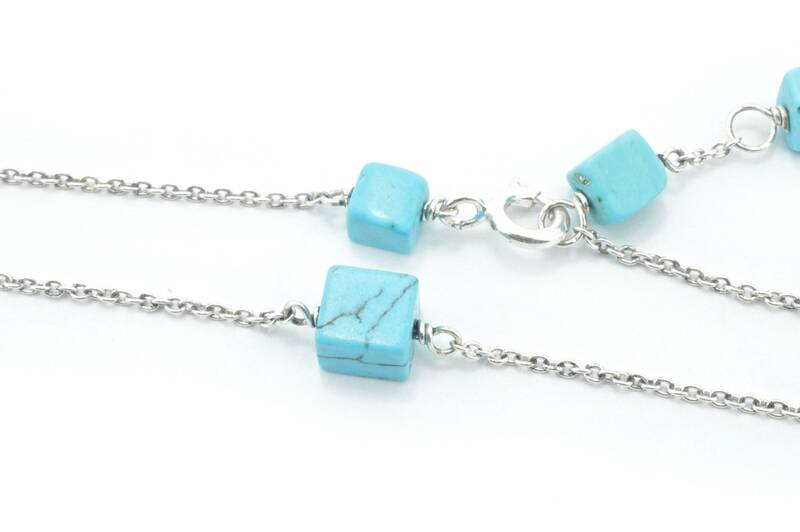 The blue, howlite cube dangles and moves on a silver chain ending with two blue, howlite beads finishing off the bracelet and can be worn at lengths between 19.5cm and 16.5cm. This is a made to order item. Once ordered it will take between 3-4 weeks to manufacture and will be posted as soon as it has been completed.